I have a question – what do I do? 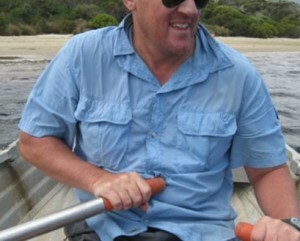 Shoot it through to brendon@southcoasttrack.com.au and I’ll do my best. Do I need to book to do the walk? Nope. Just get to your starting point (Melaleuca or Cockle Creek) and start walking. Do I need anything official at all? The only thing official you need is a National Park Pass. This gives you access to all the National Parks in Tasmania for a set period of time. You are able to purchase this pass in person from the airline flying you into Melaleuca, Park centres or selected retail outlets (some bushwalking gear shops) or Service Tasmania, please check out all your options here (you can buy it online, download the form and send it in, etc). Updated information on park entry fees can be obtained from the Parks and Wildlife Service on (03) 6233 2621. Information on park entry fees can be found online. A National Park Pass costs $30 for 2 months. Is there a Registration Book? Yep, there are Registration Books at Melaleuca and Cockle Creek (and I saw one at Point Eric). Signing in the log book at the start and end of the walk is always a good idea, but the books are not checked regularly and a search will only be mounted if someone else reports you as being overdue. How do I get to the South Coast Track? 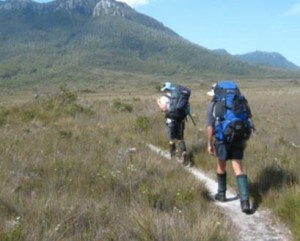 The track goes from Melaleuca to Cockle Creek and can be done either way. Most people choose to go from Melaleuca to avoid being stranded for a couple of days waiting for a plane. For all the details head over to our Getting There page. When is the best time to do the walk? The easy answer for this is between November and April. Be prepared for any weather conditions even if as you leave it’s fine and hot, because it can turn to crap very, very quickly. 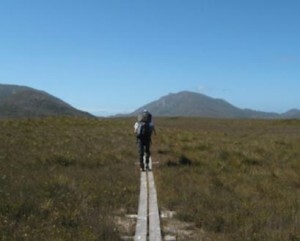 I’m Not Confident Of Walking The Track Myself – Is There A Guided Trek? The guys and gals from Tasmanian Expeditions pioneered commercial guided trips on the South Coast Track in 1983 and offer a fully guided trek. Check them out for a very professional service. What’s The Rule If Someone Falls Over? Does the walk cost anything? Nope. Zero. Zilch. Nada. Nothing. Where do I get my cooking gas from? when we landed he got into the storage area and gave us all the gas – easy! How long would the walk take an inexperienced walker? If the weather conditions are okay, then budget for 7-8 days. If the weather conditions aren’t so great, add a day. If the weather conditions are awful, then add 2-3 more days. You see, when the rain comes down the mud becomes very difficult to get through and the creeks and rivers become more difficult to cross. The 4 of us did the walk in 7 days – we had perfect weather. Day 1 – very easy. Day 2 was pretty difficult – mainly because it was very hot (36 degrees C). 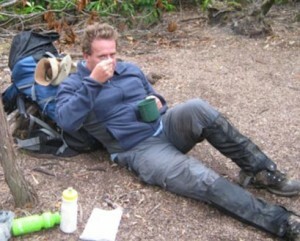 Day 3 was the longest (up over the Ironbound Ranges to Little Deadman’s Cove) – moderate. Day 4 was pretty easy with plenty of beach walking. Day 5 was the muddiest. 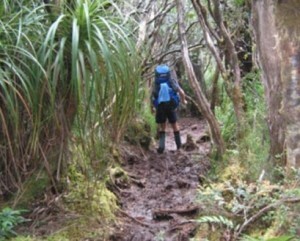 Day 7 was a piece of cake – about 8 kms on boardwalk. 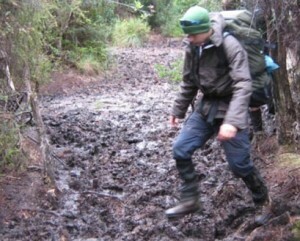 The track is very muddy in parts. Like I said, we had great weather and it was still very muddy. 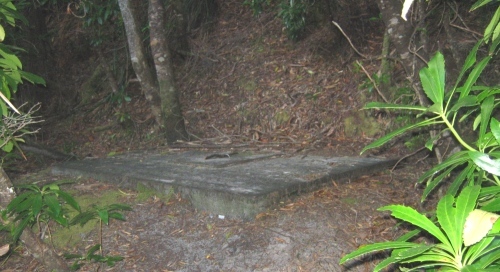 There are pit toilets at every major campsite – this is a Pit Toilet. You don’t need to close the door for privacy because there is no door. How many people walk the track? I’ve been told they drop about 8 people in a day to do the walk. That’s consistent with what we saw on the track. Apparently Boxing Day is the busiest day for starting the walk. Is it true some guys cook you pancakes on a section of the track? Maybe… if you’re in luck. Steve Bennett and Adam Croser set up at Point Eric in 1995-96, 1996-97, 1997-98 and 2004-05 and did indeed cook up a storm of fresh pancakes and fresh coffee for weary walkers. All free. All for fun. Sadly, the lads weren’t there when we passed by in January 2010. Do we need to take Wind Guards for our cooking stove? The major campsites are all very well sheltered and we didn’t have an issue at all with the wind. The major campsites have plenty of room and easily accommodated 6-7 tents each at least. All major campsites have pit toilets. 2 campsites have cable TV, broadband Internet access and fully stocked bar fridges. That last bit is a joke. Told you I was funny. Is it compulsory to take an EPIRB? Nope. We tried to hire one in Hobart the day before we flew out to Melaleuca, but had no luck. We’d certainly recommend an EPIRB, especially if you’re walking at a time when few others will be on the track. Where can I get an EPRIB from? Service Tasmania hire out EPIRBs for $44 per week. How do I get to Hobart from Cockle Creek when I finish? Yep. Without question, the best book I found for the South Coast Track walk is John Chapman’s “South Coast Track“. Detailed track notes, useful maps and much more – you can buy this book direct from us and we’ll send it straight out.